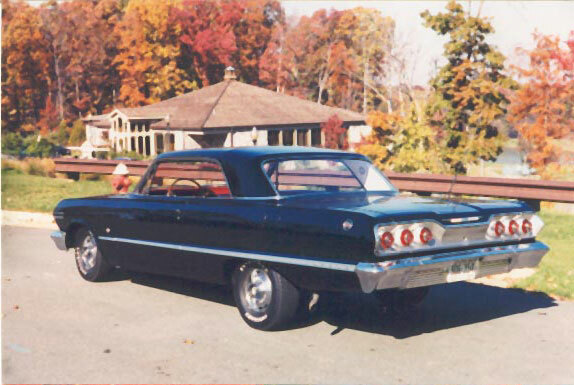 Entry 11: Tom Wilson's 1963 Impala SS - 409 ! Update - September 22, 2000 - Wanted to fill in the rest of the blanks on my car for you. It has the following options; 327 4-barrel 300 horse motor & dual exhaust, deluxe factory air, power steering & power brakes, dual sport mirrors, and spinner wheel covers. The 327 pulls like a freight train. 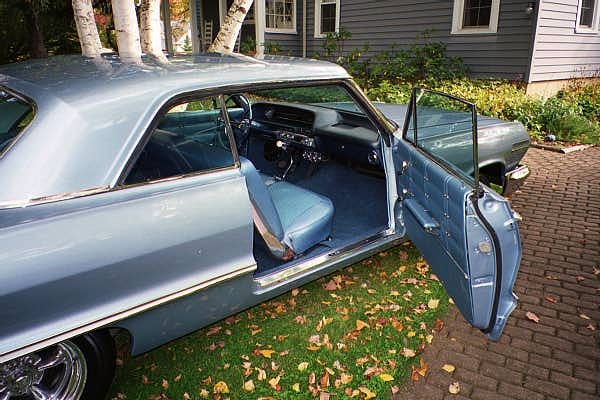 I bought this car sight unseen from a 69 year old Arkansas bodyshop owner who built the car for himself. 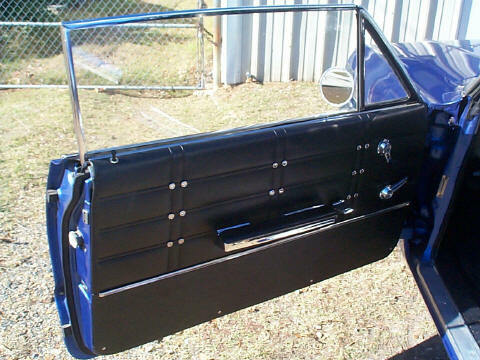 He painted the car a very pretty and unusual blue which is actually a toyota color with a few home made modifications, and installed a non-original looking but useful glass rear window. My daily driver is a '99 BMW 528-I five-speed. I really enjoy driving the Chevy more than the BMW. They say Japanese cars don't have the "personality" of those from the Germans.Compaired to my 37 year old Impala, my BMW is a faceless bore. By the way, I reside in Longmeadow Massachusetts, in the western part of the state. 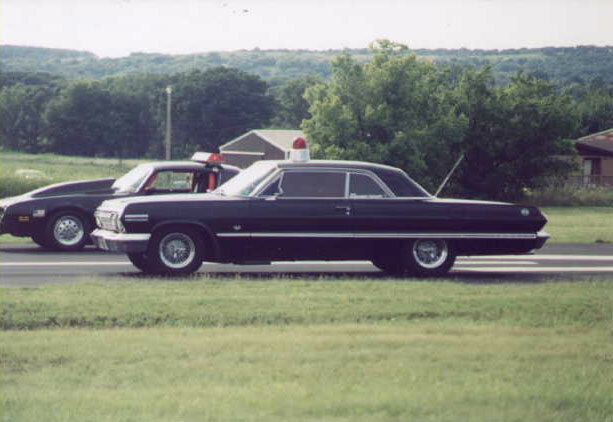 I've been looking for this car for a long time. 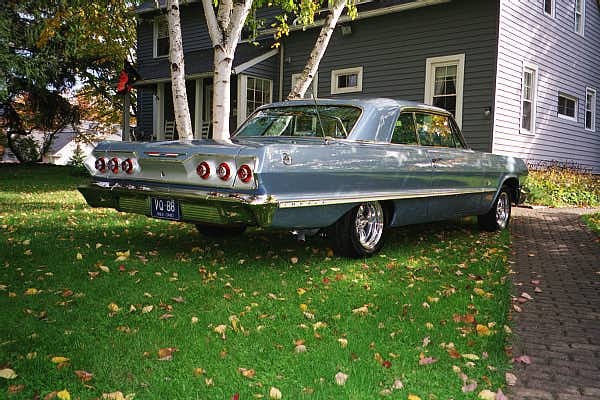 My plan is to keep it a driver and find a #1 '63 SS for show. Anyone have a perfect SS for sale? Let me know. 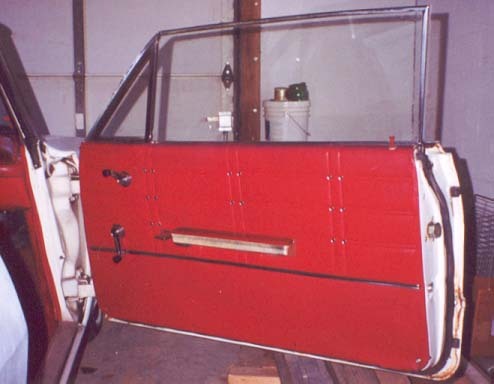 Body off restoration, Rust free Texas Car, All new trim NOS or reproduction, Rechromed Bumpers, New Glass, Interior Underside is finished in correct red oxide primer and detailed in every respect. 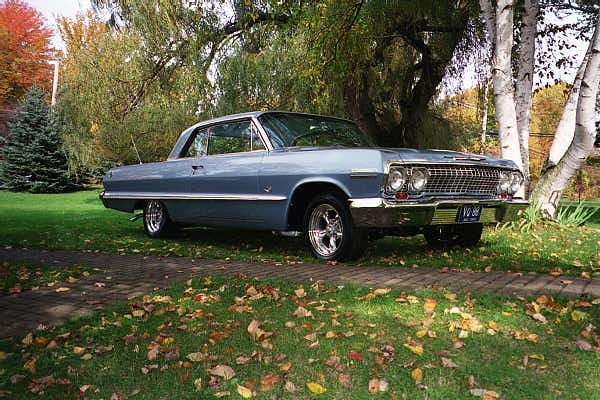 I several sets of wheels, 15X8, 15X7 American Racing Torque Thrusts II pictured,also correct Impala full size wheelcovers with whitewall tires, and newly added set of NOS small cover with body color steel rims. 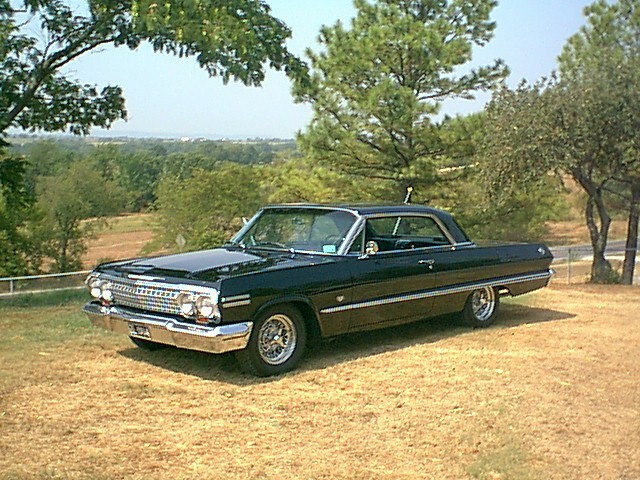 THIS IS MY DAILY DRIVER 63 IMPALA, I DRIVE ABOUT 15,000 MILES A YEAR. DROVE FROM TULSA TO PANAMA CITY FL. 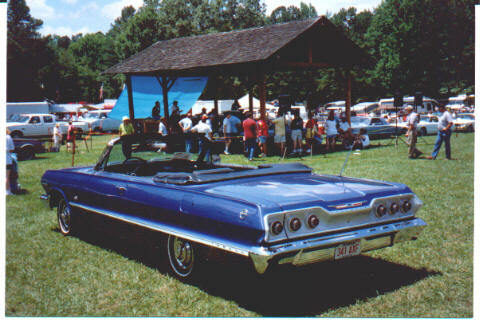 THIS SUMMER WITH THE HOT ROD POWER TOUR 2000. 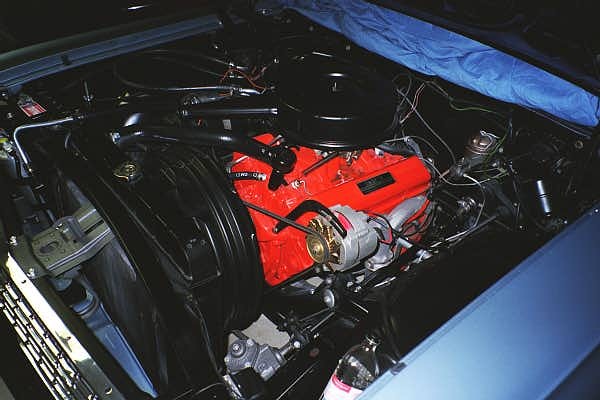 ENGINE HAS EDELBROCK PERFORMER RPM INTAKE AND EDELBROCK 600 ELECTRIC CHOKE CARB. 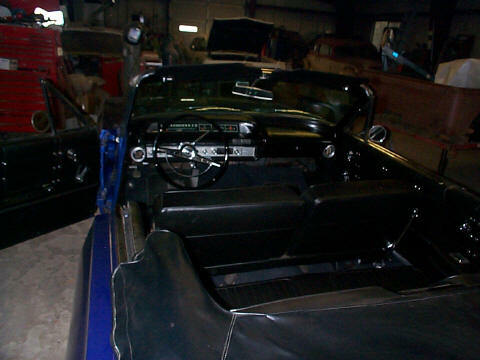 POWDERCOATED CORVETTE VALVE COVERS, CHROME DASH, CHROME GLOVE BOX COVER, BENCH SEATS FOR THE FAMILY TO RIDE COMFORTABLY. 8 TRACK PLAYER. 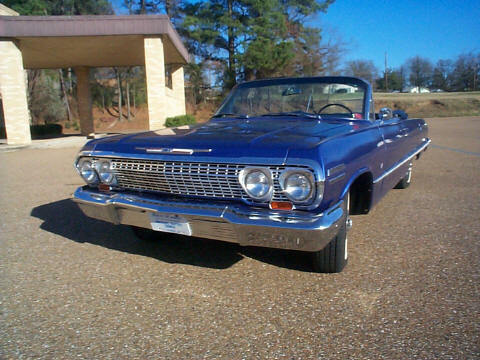 TRADED A 1963 CONVERTIBLE FOR THIS CAR IN 1997, WIFE DRIVES IT TO WORK SOMETIMES INSTEAD OF HER 96 IMPALA SS BECAUSE IT'S REALLY FUN TO DRIVE. 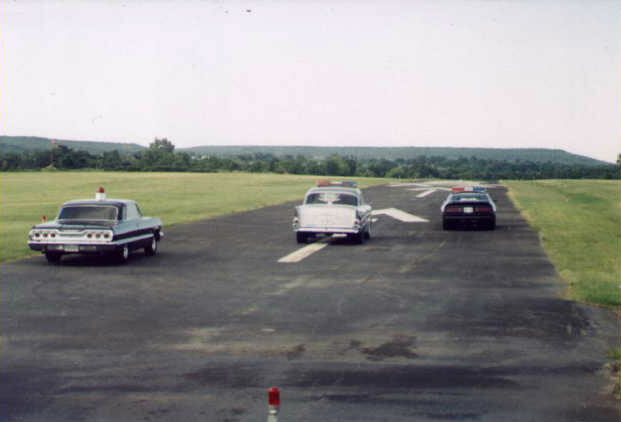 SENT A PICTURE OF MY 63, JEROME'S 63 409- (WWW.REAL409.COM), AND DAN SALT'S 64 SS OUTSIDE OF TALLEDEGA DURING POWER TOUR, ALSO A COUPLE OF PIX FROMA RECENT RACE SESSION AT THE TULSA DOWNTOWN AIRPORT. W/ OTHER "BEAT THE HEAT" RACERS (http://www.beattheheatinc.org/). 2nd owner, 165,000 miles, I am sure that you have heard of people buying cars from little old ladies, well I am one of those lucky people. 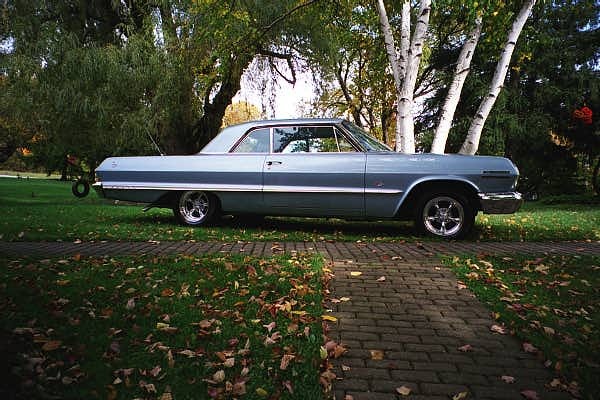 I purchased my 63' in 1983 as my first car, from a lady that lived just down the road. 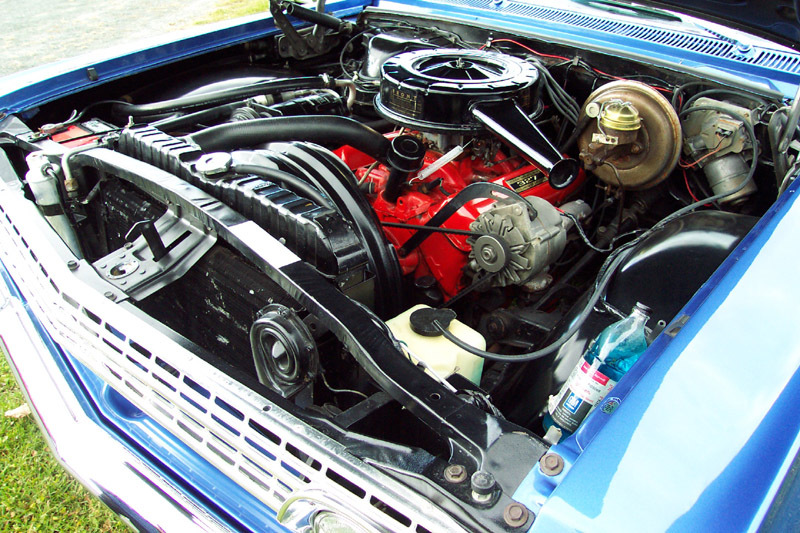 The car had been sitting in a garage for 7 years and it had 49,560 miles on it. I paid $1,500. 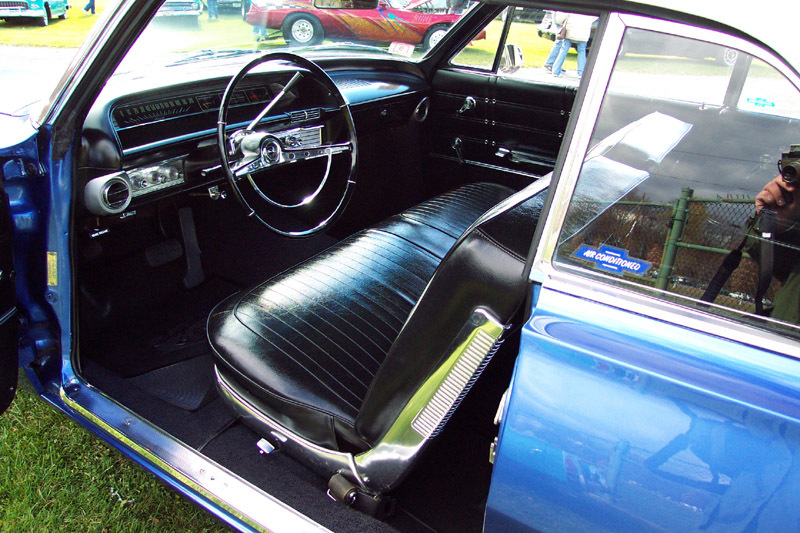 The body and interior were in fantastic shape. 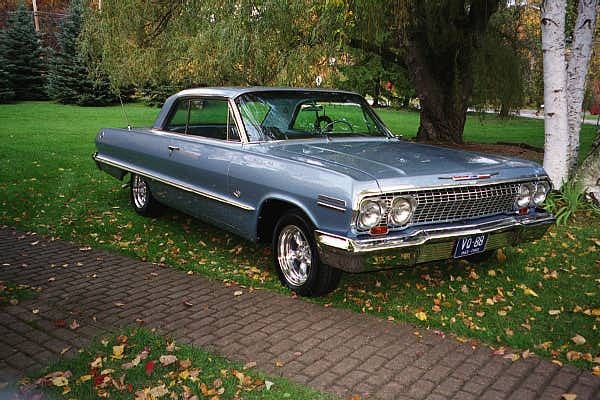 My 63' has very few options; 6-cylinder engine with 3 manual trans, heater, tinted windows, seat belts, radio delete, no power steering or brakes. I drove the car thru high school, college. 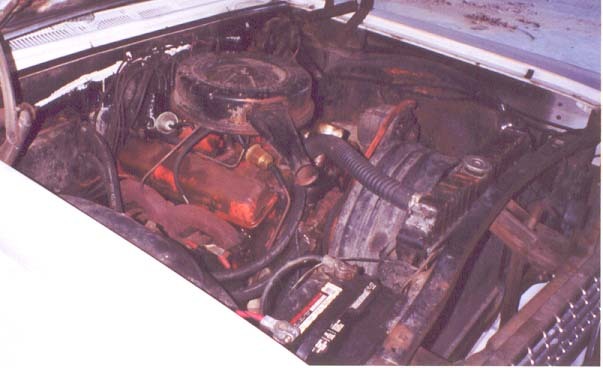 The car was great it required very little maintenance and never left me stranded. After graduating from college I stored on blocks and covered with a tarp top and bottom for 4 years. I finally took the car out of storage and started driving it. 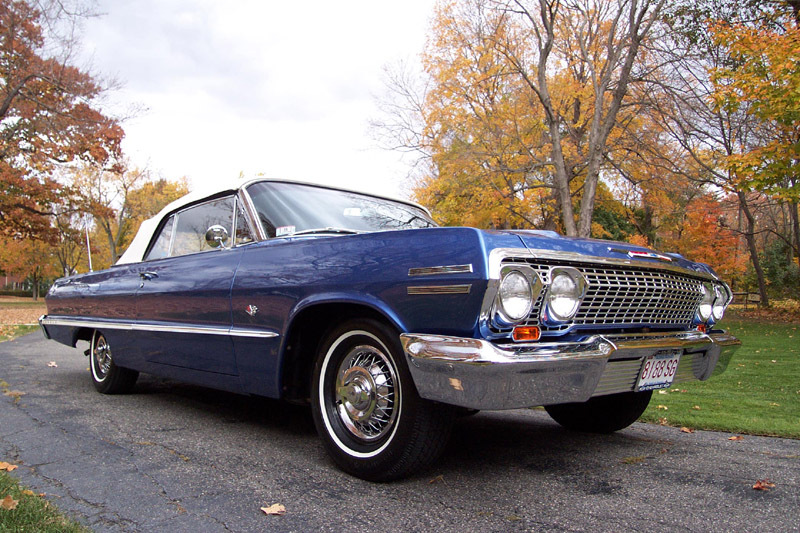 Man the first time I heard the engine start and drove it after being storage brought tears to my eyes. 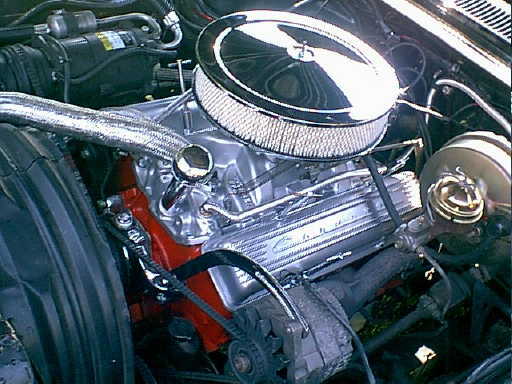 I had always dreamed of putting a small block and an automatic trans. 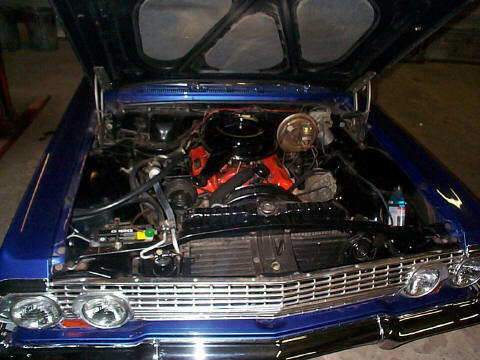 I good friend of the family just happed to have a 69' 350 - 4 bolt block with steel crank and rods plus a turbo 350 transmission. He gave me all the parts he had. 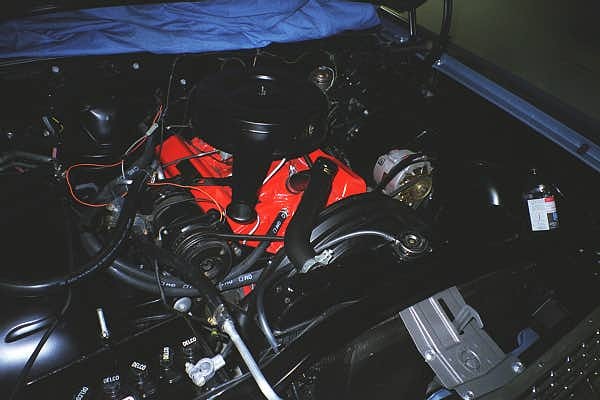 I built a mild small block and rebuilt the trans. 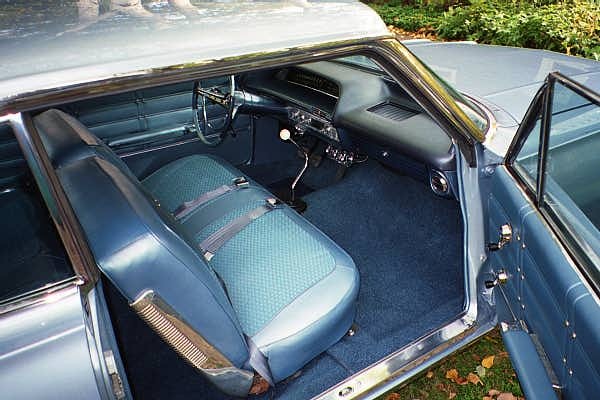 I found an automatic 4-door car and purchased the column and pedals. My goal was to update the driveline but make it look like it belongs with the car. 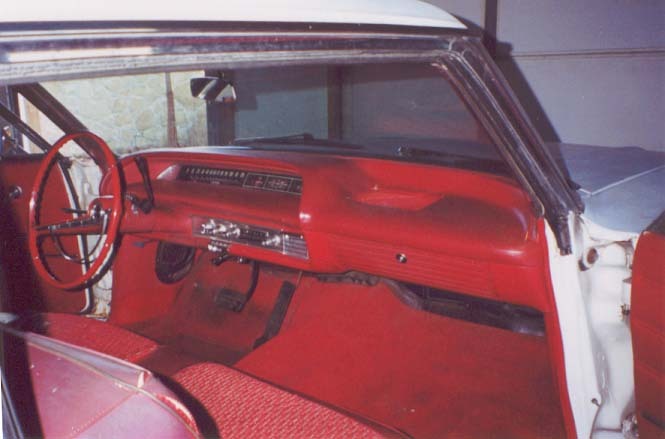 The car still wears the original factory paint and interior, it is getting in need of restoration, but it still gets attention. I have added a positac unit. I have been grudge racing and it's best quarter mile time is 14.49 sec at 96.5mph not bad for a car that weighs 3950lbs with me in it. 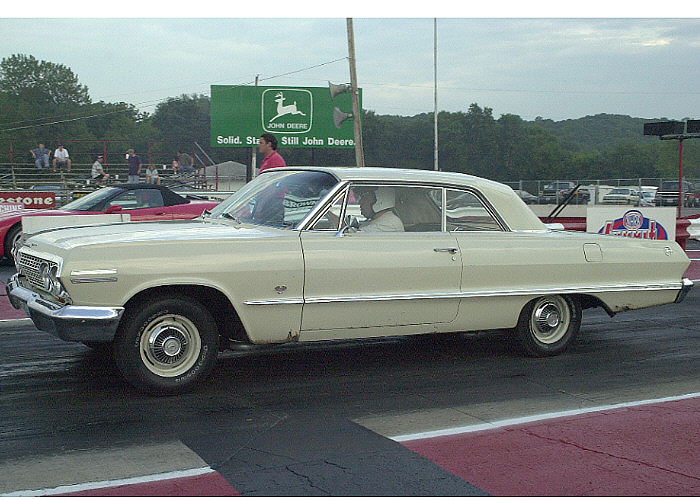 I would like to hear from any one who has drag raced their 63'. I have truly enjoyed owning this car and intend on keeping for some time to come. Weight: 3,390 Length: 109.3 inches, Price New: $3,024. 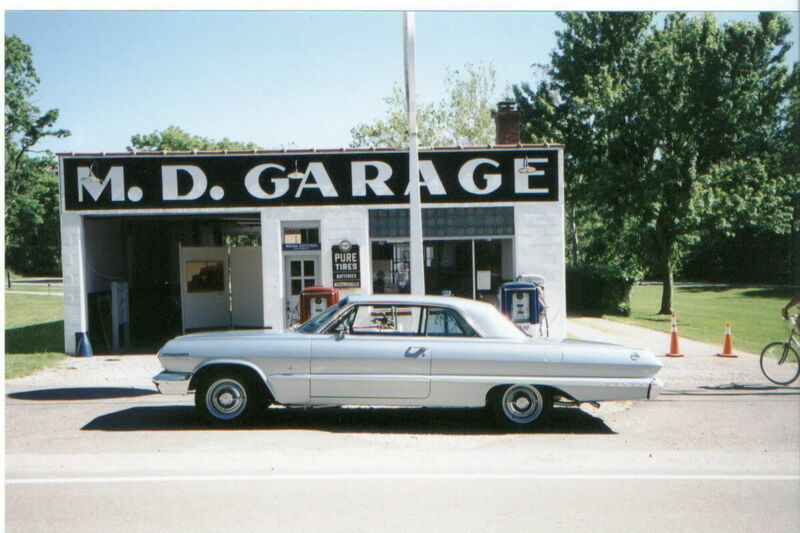 We have owned this car since 1965, which makes us almost original owners. 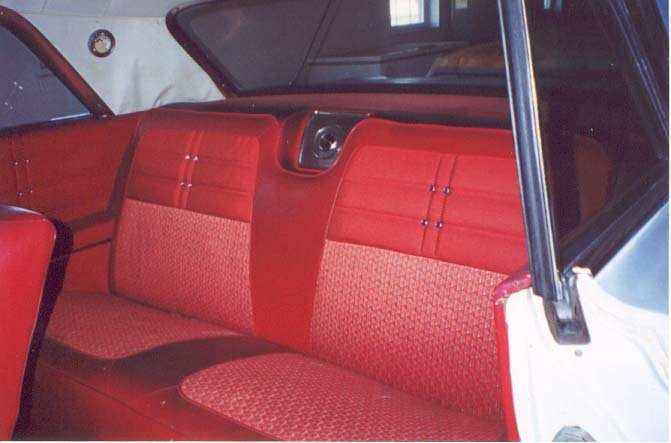 In 1990 we completed a stock restoration. 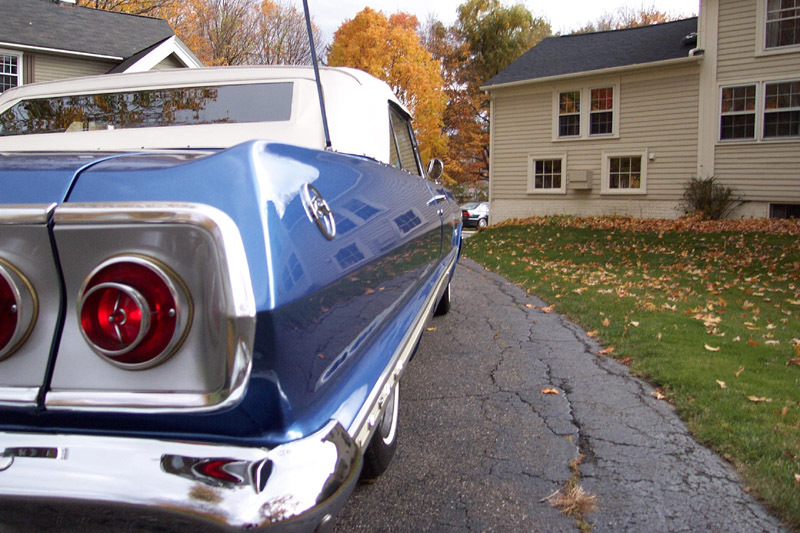 This restoration took two long years to complete, however, restoration seems to never end. 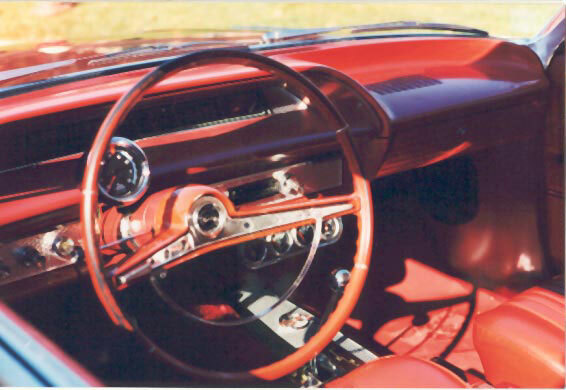 We started showing our '63 in 1990 at a Concours d' Elegance. We won "First" in our class that day. We have been showing it since. 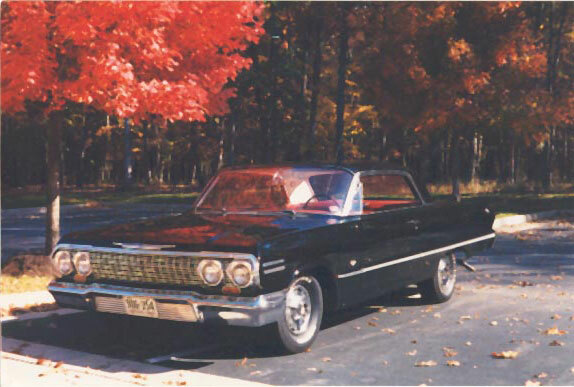 Our Impala has been featured twice in the "Late Great Chevy Magazine. 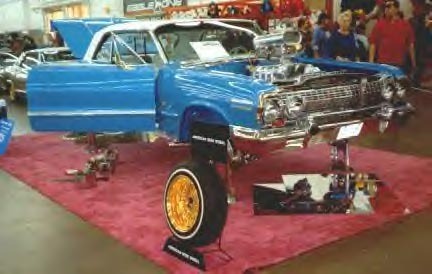 We won the "Coolest Chevy" and "Impressive Impala" at the "Good Guys National Event in Pleasonton, California, for years 1997 and 1998, and appeared in their magazine. 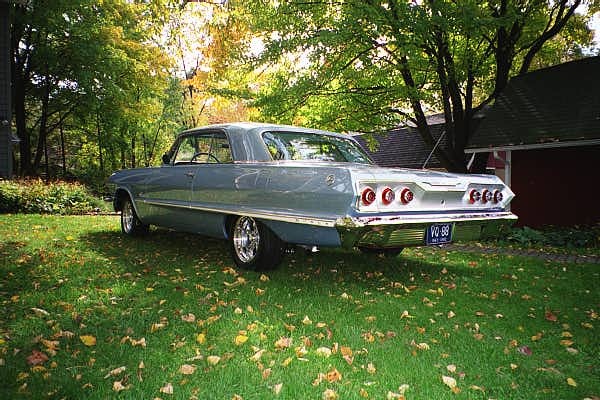 We love driving our Impala to car events. We enjoy the "Thumbs Up" we receive as we drive the highways of California. Those admiring looks are almost as much fun as any awards we might win. 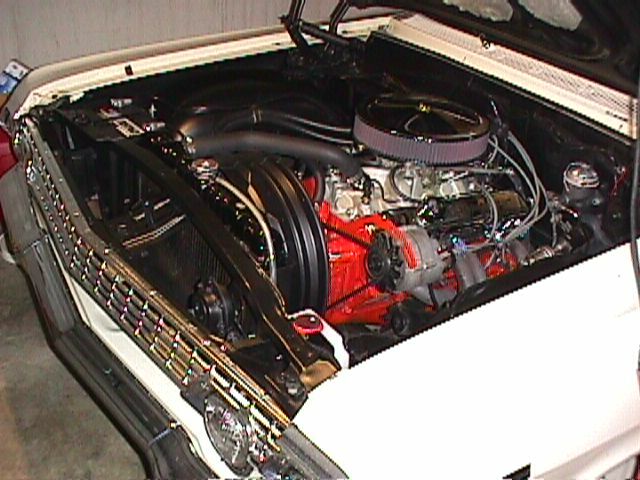 It has a 283 (409 waiting to go in) with a 4-speed. 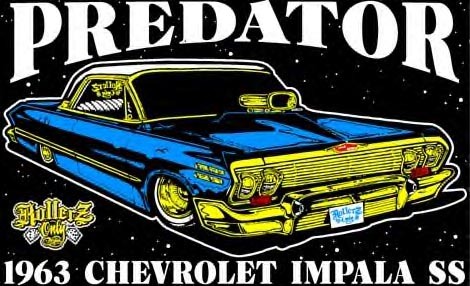 May sound like a strange combination since the 4-speed was not offered behind a 283. 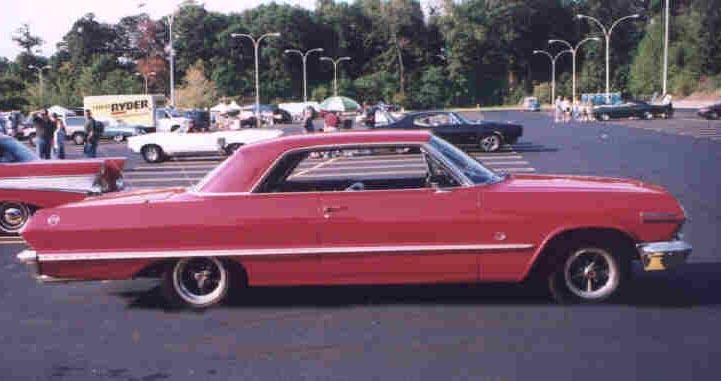 It was originally a floorshift powerglide, I put in the Muncie 4-speed last Summer. BIG improvement over the powerglide!!! 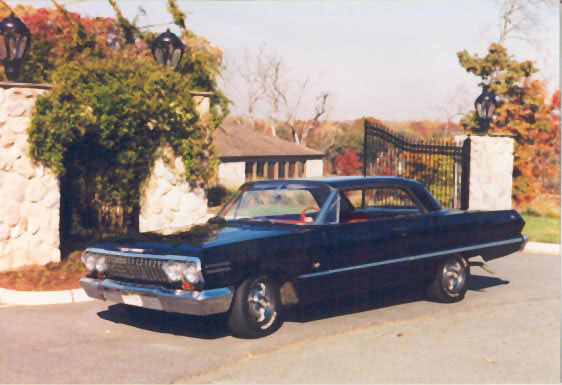 Here are some pics of my old car a 63 chevy, the worlds first blown lowrider. This is my North Carolina BABY!!!!! She is a daily driver. She has a rebuilt 283 with a 4 barrell intake and a 700 holly that loves to fly. I bought her from a man that had her sitting in the woods behind his house for about 10 years. She has been stripped to the metal and painted. I did all the body work myself so she is not perfect but she is close enough to perfect for me. 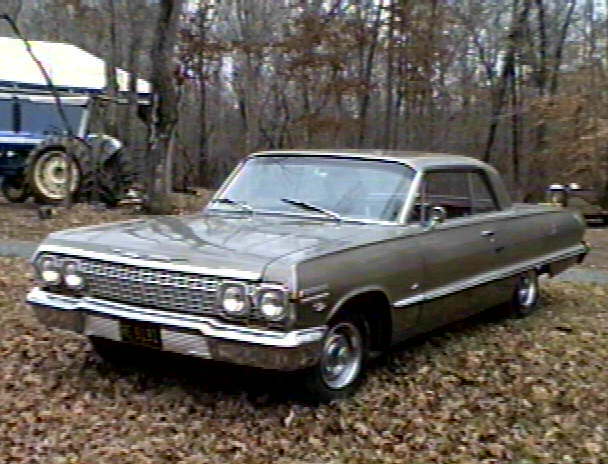 This a was a Demo car for West Chevrolet, a dealer here in Tennessee. Then it was sold to lady here in town. She owned the car until I bought it in Nov. 2000 with 101140 miles. 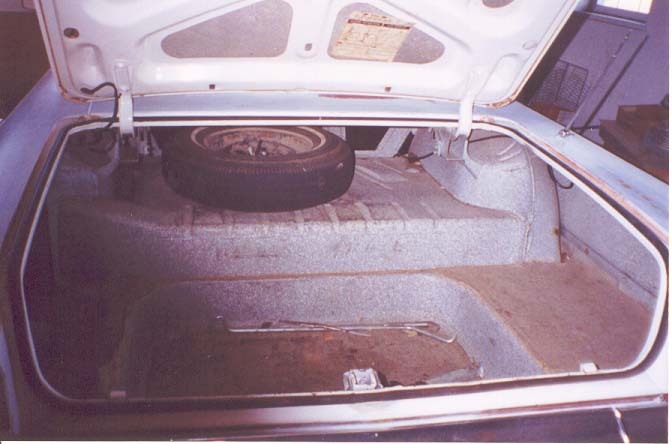 The car was always kept under a car port, so there is no rust. 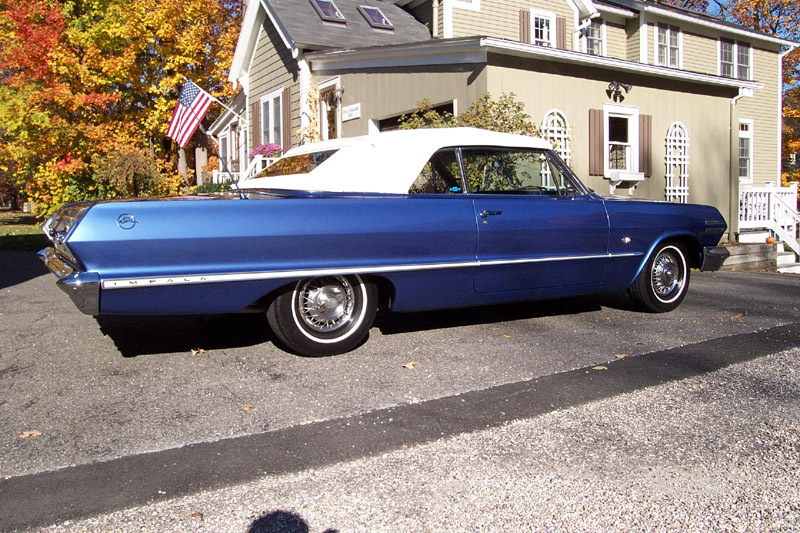 As the lady got into her golden years, she tended to bump the Impala on stuff here and there, so it has several dents that need to be removed before painting.